One Hour by Lillian Smith. New York. Harcourt Brace. 1959. First Edition. Hardcover. Very Good in Very Good dust jacket. DJ is worn and torn at edges. Front of DJ is small piece at bottom edge. 440 pages. 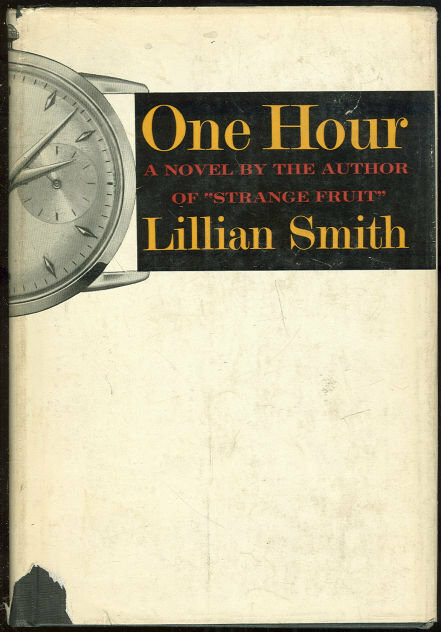 Items Similar To "One Hour by Lillian Smith 1959 First Edition with DJ"